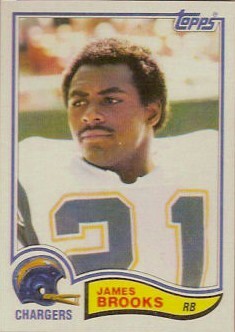 1982 Topps Rookie Card of former Chargers and Bengals star running back James Brooks (#226). NrMt or better. ONLY TWO IN THIS CONDITION AVAILABLE FOR SALE.